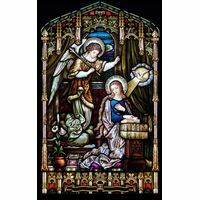 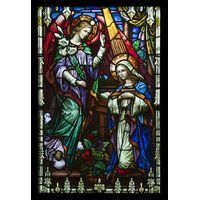 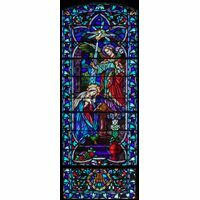 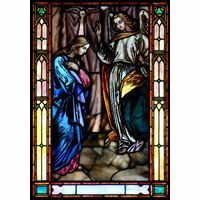 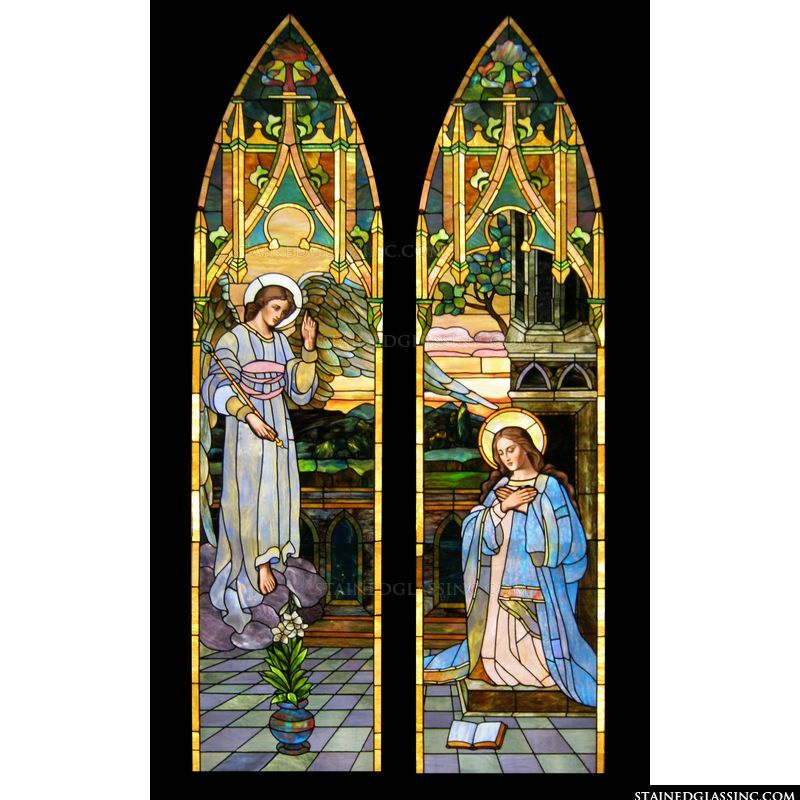 This gorgeous scene depicts the Annunciation as Gabriel tells Mary she will bear the Christ child. 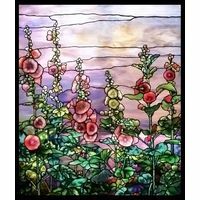 Beautiful tiled floor and a lily landscape blend to add background to this fascinating work of stained glass art. 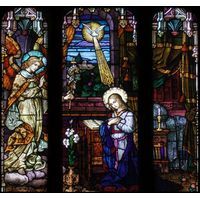 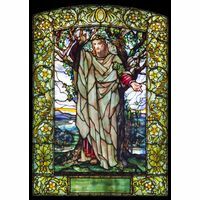 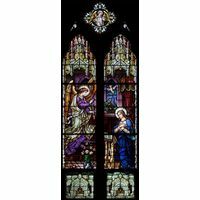 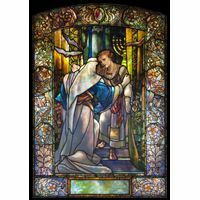 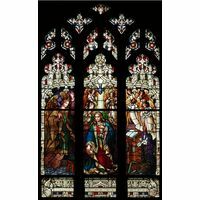 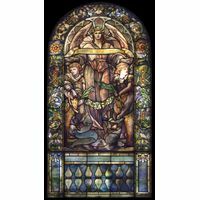 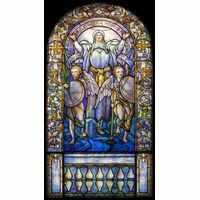 Shot through with light and colors of the rainbow, the imagery in this stunning stained glass design is astonishing, dazzling the eye and capturing the imagination of all who are blessed to behold its exquisite beauty. 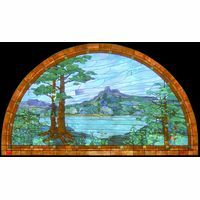 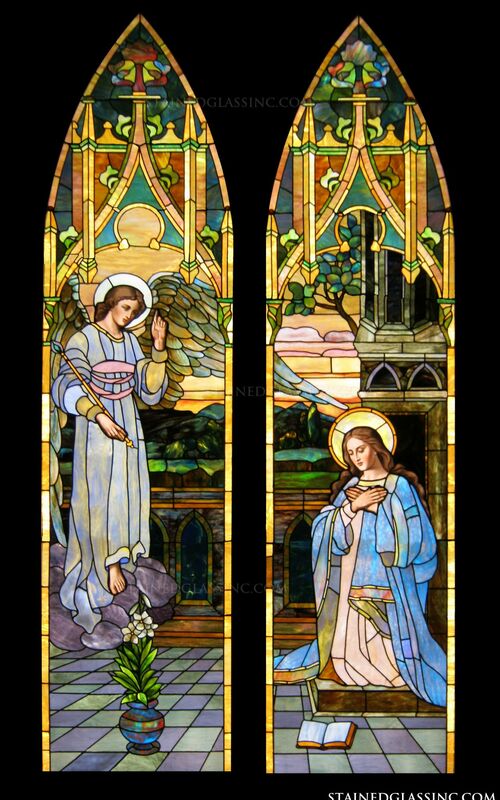 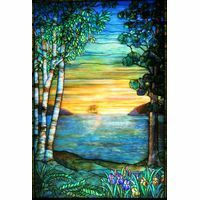 Created by master stained glass artists in the studios of Stained Glass, Inc., this lovely panel is unique and one of a kind, destined to enhance and inspire with timeless beauty and a sacred message. 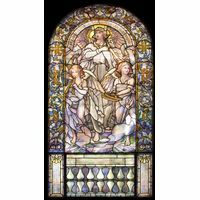 Perfect as an accent in church, chapel or cathedral, this work of art lends itself well as a signature piece of home or business decor, as well. 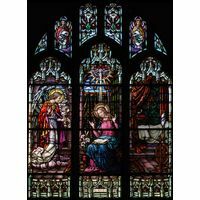 Infused with ethereal light, the stained glass reflects sunlight, candlelight and firelight in shifting shades throughout the day and after dark.